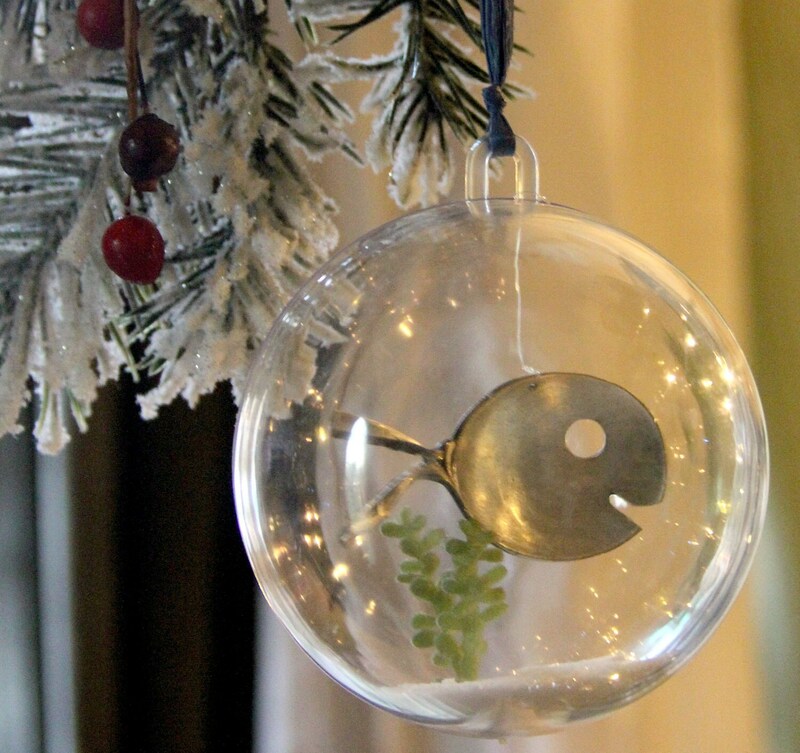 This adorable acrylic fish bowl ornament looks splendid on any tree. 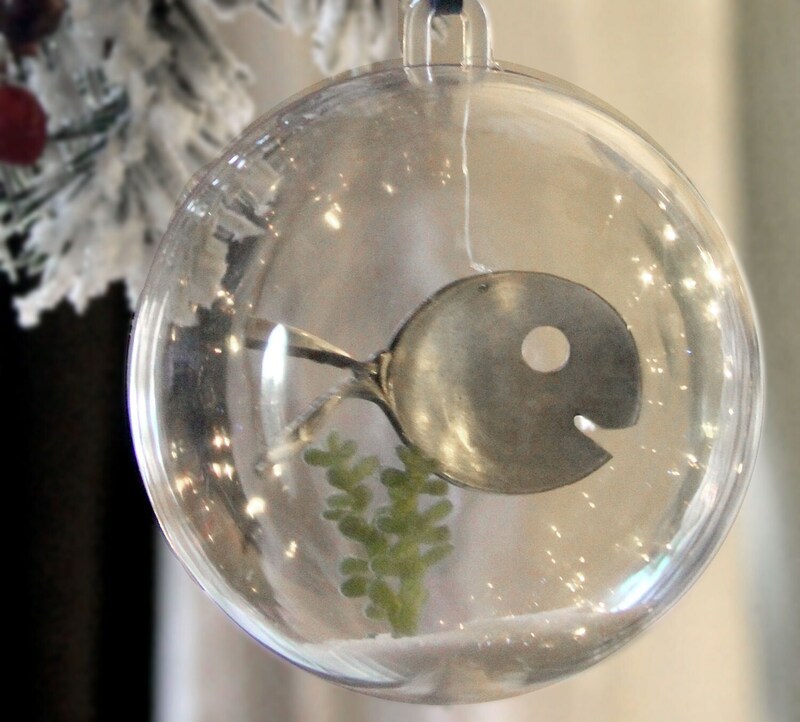 Inside a stunning smiling silver plated spoon fish swims happily back and forth. 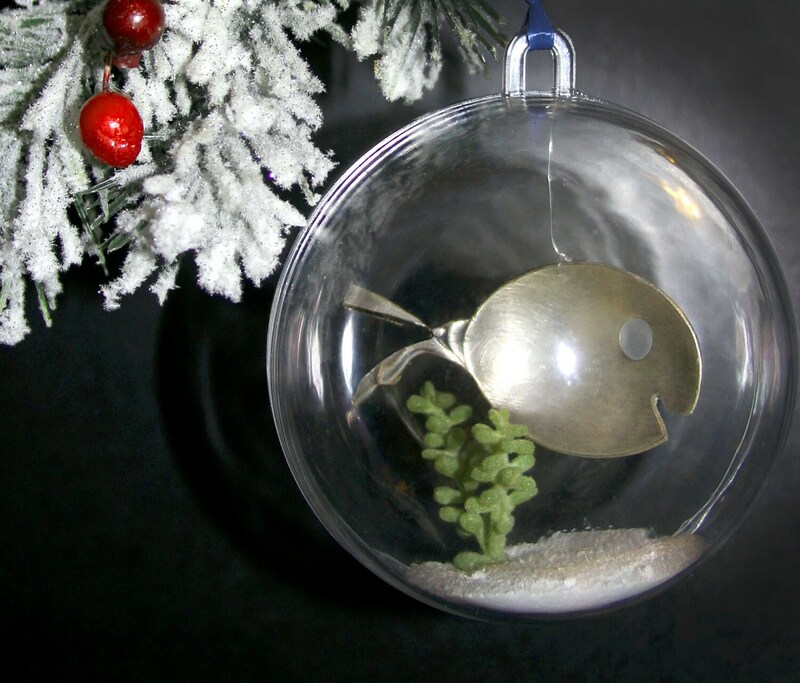 Fish is up cycled from vintage & antique silver plated spoon. 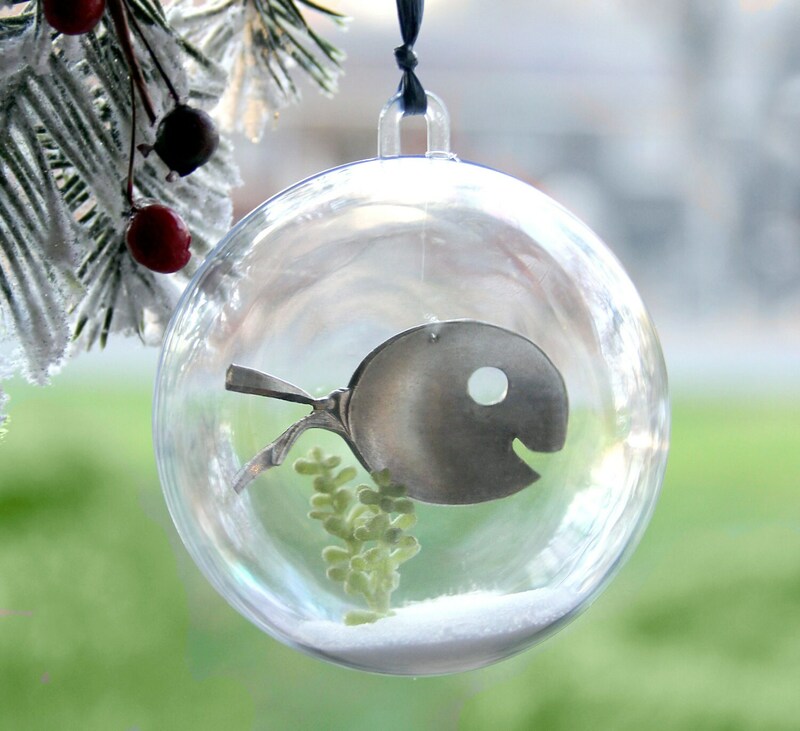 Measures aprox 3in.